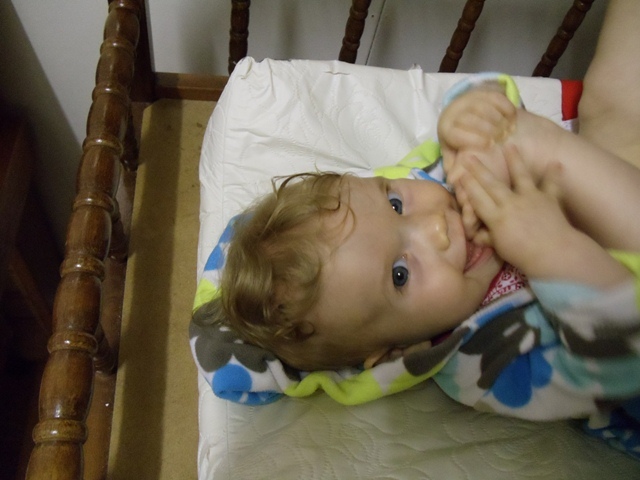 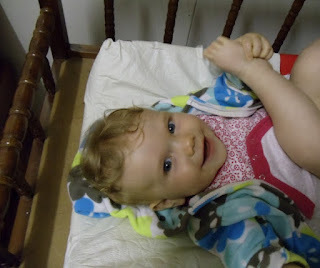 This month Thea discovered her toes, and she enjoys chewing on them on the changing table. I guess her diapers are so bulky that they don't reach her mouth when she has them on! 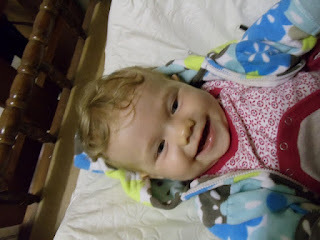 She was so cute chewing on her toes, but after she noticed I had the camera out, she stopped playing with her feet, and just smiled and smiled.